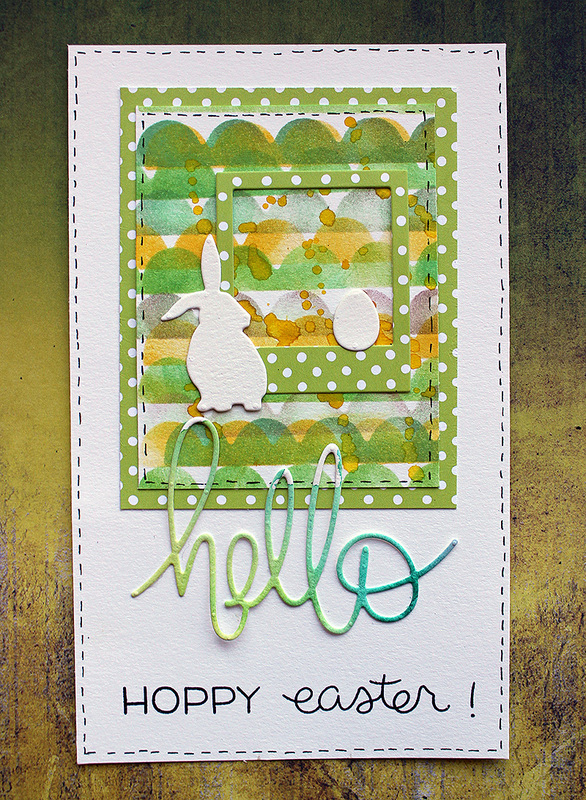 Hippity hoppity! 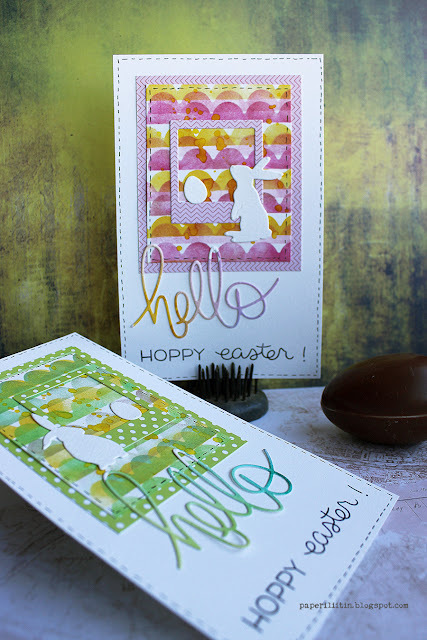 Easter is on the way and I made some cards! I rarely buy cards anyway, but during March I'll all the cards I need myself because I'm making a pledge! It's a campaign Sizzix is having during Mach to celebrate makers. The goal is to make rather than buy the things. You can join in and make a pledge of your own. Sizzix is sharing inspiration and makes in the website during the month. You can see the makes and read more about #makingthepledge here (link). 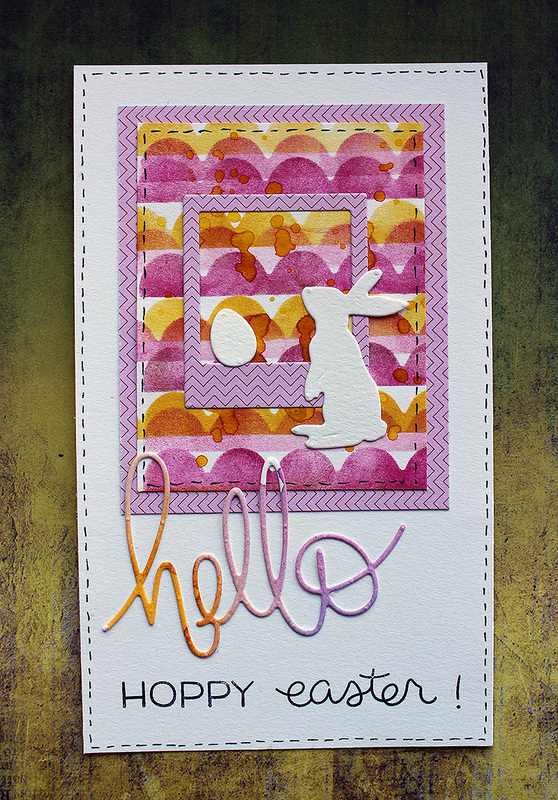 These two cards got their inspiration from the "Spring Time" die set. 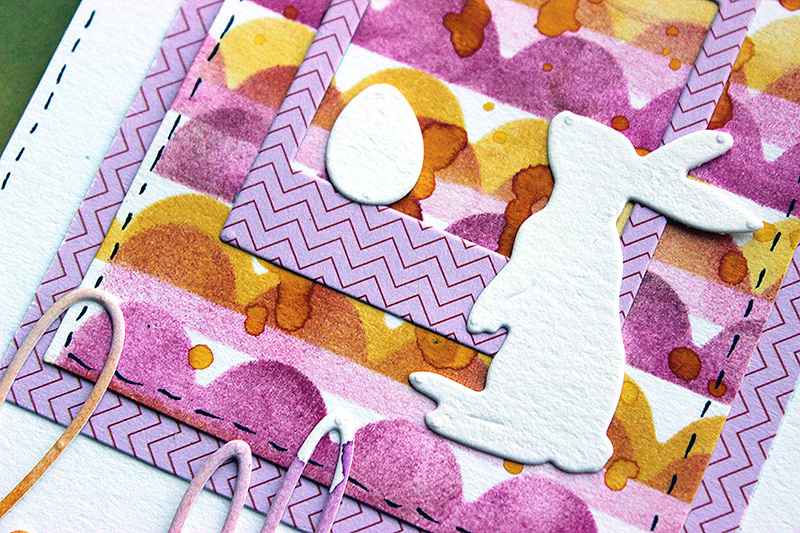 The bunnies are so cute so I turned them into happy Easter cards. 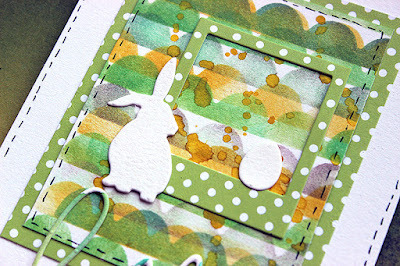 The colorful, wavy-looking backgrounds are made using inks and a self-made stencil using the border die from the same "Spring Time" set. The frames are cut using a die from an earlier set, "Frames". The greeting is made with in two parts - "hello" using a die from "Sentiments" set and a stamped part using a Lawn Fawn stamp. The die cut parts are made from a piece of watercolor paper I was demoing how I use watercolors and what's my trick to blend the colors together the way I blend them. 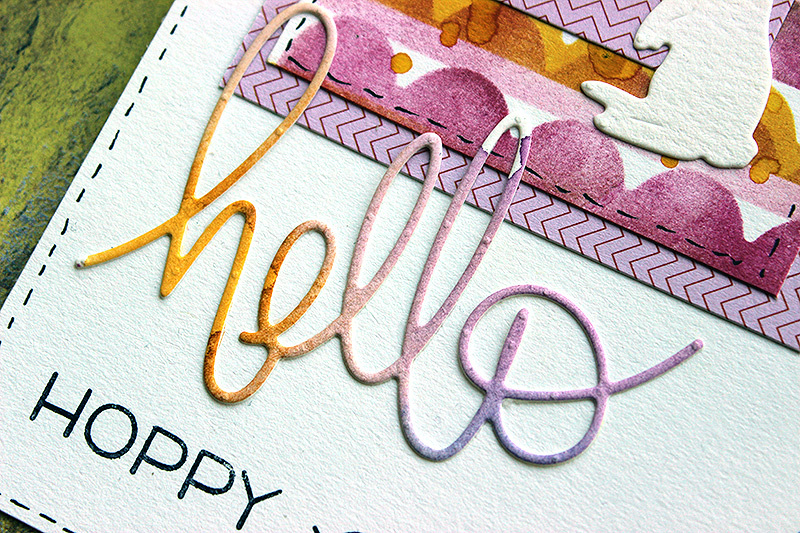 The tiny sample started to look so juicy that I saved it to be used in a project. 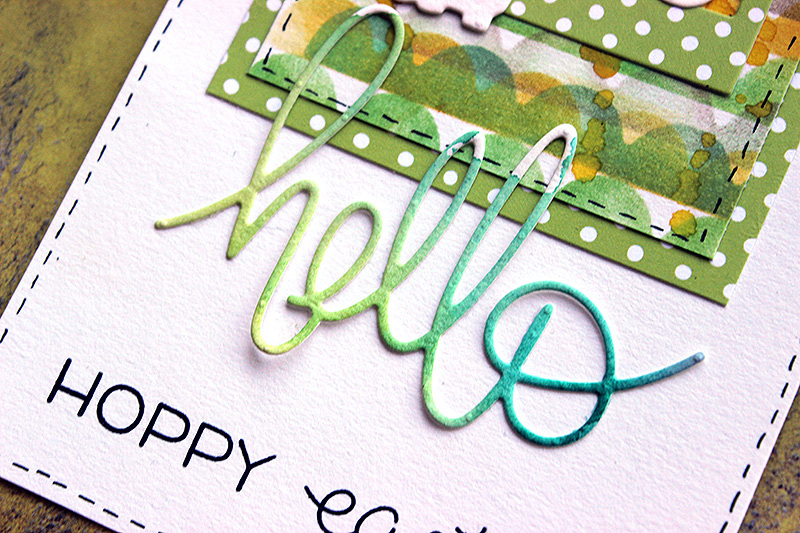 Actually the whole color scheme of the two cards came from the die cuts from that piece as the other one turned out to be green/turquoise and other orange/pink. Thank you for stopping by today! Have a sweet Sunday and great start to the new week!